Please comment on this page if you have something to add. Also feel free to give your opinions on the above, since I haven’t actually read them. Morris Kline has a number of well-regarded overview books. I’m most familiar with the excellent ‘Mathematics in Western Culture’, but see also ‘Mathematics for the Nonmathematician’, which is a textbook for a liberal arts course in mathematics. For something more specific in focus (though still remarkably wide-ranging), Petr Beckmann’s ‘A History of Pi’ is highly recommended. There are some marvellous books in the list already. ‘What Is Mathematics?’ is an excellent starting point for a self-learner. ‘Proofs and Refutations’ and ‘The Mathematical Experience’ should be required reading for all working mathematicians. It’s Morris Klines’ Mathematics and the Physical World for me. I read it in my second year at University. It was the closest I have come to a religious experience. How could I forget Math Girls?! Anime-style story line, and real math. I plan to re-read it this December, to see if I can understand why the sum of the alternating harmonic series is pi2/6. I just looked up the website (bentobooks.com) and found out that Math Girls 2 will be out in December. Perfect holiday gift for me! The Joy of X is based on a New York Times series of a couple of years ago. I just received the book and haven’t gotten a chance to read it yet but did read the series. The series was great and I expect the book to be too. But in the interest of full disclosure, Steven Strogatz is a friend. A great book (not written by a friend—I don’t even know him) that I’m about a third of the way through is Math in 10 Lessons: The Grand Tour. It’s a pure mathematics book that tries to show those in the humanities, as well as scientists and other non- mathematicians, how mathematicians view their discipline. Ummm… thanks for the spelling correction, but surely you don’t have to be nasty. 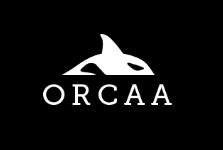 Khan Academy is an amazing site, and he really started something which I for one appreciate as a mother. My oldest son learned a lot of physics from him. Where was I nasty? Because I suggested that there are far better math vids and named some? I LOVE LOVE LOVE KhanAcademy.org. I’m a neuropsychologist assessing children with learning problems…and having such high quality *tutoring* available for FREE is a Godsend for the kiddos I work with. My kiddos just want to know HOW to solve the problems on their homework!!!! Surreal Numbers was my very first cool math book, recommended by the same French mathematician who told me about the Nicolas Bourbaki. More recently I enjoyed reading Poincare’s Conjecture. Have you tried The Puzzling Adventures of Dr Ecco, by Dennis Shasha? I suggest you add “Who Is Fourier? : A Mathematical Adventure” to your list. Late to the party, I suggest “The enjoyment of Mathematics” by Rademacher&Toeplitz, maybe old fashioned but I remember having a lot of fun . Rademacher & Toeplitz is in the top 20. They are not afraid of tackling intricate topics and bringing them down to high school level (that is, good high school). But I must say that these expositions never get old fashioned – only Hollywood does. Try Gelman’s book, Bayesian Data Analysis. He also writes a blog . Try Probability Theory: The Logic of Science by E. T. Jaynes. It’s a great read and has a very good introduction to probability. The math gets heavy pretty quickly but the text alone is worth the book. John Kruchke’s book Doing Bayesian Anaysis is a first rate tutorial suitable for those of us who don’t think in intregals. As a more general introduction to Bayes’ theorem, I would recommend “The Theory That Would Not Die. How Bayes’ rule cracked the Enigma code, hunted down Russian submarines and emerged truimphant from two centuries of controversy.” by Sharon Bertsch McGrayne. It’s a history of Bayes’ theorem and its applications. Great book. “The Theory That Would Not Die” is a good read, but it is a narrative history, with focus on personalities, not math. For the math, I suggest “Scientific Reasoning: The Bayesian Approach” (3rd Ed) by Colin Howson and Peter Urbach. I think the best Book I’ve seen on teaching “proof” so far is “A Transition to Advanced Mathematics” by D. Smith et al. We used this for My “Foundations of Mathematics” course in college. And I still reference it! . What do you think? What about “God Created Integers” by Stephen Hawking? This consists of original papers, like Godel’s On Formally …, and is quite unsuitable as intro material. Hawking’s contribution seems to consist in putting his name on the cover. You might also consider From Zero To Infinity by Constance Reid. I would also add ‘A Radical Approach to Lebesgue’s Theory of Integration’ by Bressoud. This is a textbook on measure and integration, but the historical progress of the theory is told as the subject matter develops. A good complement to #3 might be ‘Georg Cantor’ by Dauben. I haven’t read #3, but this book gives a great detailed look into the work of Cantor, without being too technical, and also looks at his life. Yeah, the historical perspective — always missing in under/grad courses. Typically, math concepts are presented as ex nihilo. But when you look more deeply, you see how it is cobbled together from bits of this and parts of that. Bob Moses & Charles Cobb. Radical Equations: Civil Rights from Mississippi to the Algebra Project. Beacon Press, 2002. Jeffrey Isaac. 1999. “The Algebra Project & Democratic Politics,” Dissent (Winter). Highly recommended for trying to draw the analogy between the importance of verbal literacy to the struggle for voting rights in the 1960s and the importance of math literacy for poor/minority kids in contemporary America – if, of course, we hope them to have the opportunities of political & economic citizenship. Ella Baker meets quadratic equations. The project has been running since the mid-1980s and raises all sorts of interesting political issues (hence the Isaac piece) but gets relatively little attention. “The Princeton Companion to Mathematics” edited by Gowers, Barrow-Green and Leader. I just came across your list (and site) and would like to suggest a few title I have enjoyed. One of the first books to get me interested in math was “Fermat’s Last Theorem” by Simon Singh, followed by several of Martin Gardner’s articles and books, “In Code” by Sarah Flannery, and several large reference-style compendiums that prove quite useful in trying to get a handle on new subjects, “Mathematics, From the Birth Of Numbers” by Jan Gullberg, “The VNR Concise Encyclopedia Of Mathematics” by W. Gellert et al, Martin Gardner’s :The Colossal Book of Mathematics:, and Dr. Richard Elwes’s “Mathematics 1001”. Most recently, I just finisthed Nate Silver’s “The Signal and The Noise” and “Connected” by Nicholas A. Christakis. I hope these suggestions help a bit and the site continues to provide such an interesting contribution to a fascinating subject. This is my favorite – ‘A Million Random Digits with 100,000 Normal Deviates’. Not for the book but for the good read in Amazon’s comments about it. Donald MacKenzie, Statistics in Britian 1865 – 1930: The Social Construction of Scientific Knowledge (1981). Galton, Pearson, and Fisher were all eugenists — it should never be forgotten that Galton’s statistics first emerged as a powerful rhetorical device for the advancement and promotion of the eugenics movement, and for the justification of mass sterilizations of inferior classes. Unfortunately, one group did in fact succeed on such a massive scale that it still horrifies and haunts humanity. Does anyone remember Florence Nightingale’s rose chart? “In 1859 Nightingale was elected the first female member of the Royal Statistical Society and she later became an honorary member of the American Statistical Association” (wikipedia). David Acheson, From Calculus to Chaos. Glen, I remember Florence Nightingale’s rose chart. Brilliant innovation. You can find it along with other wonderful exhibits in Edward Tufte’s The Visual Display of Quantitative Information (2nd ed.). T. Korner has written several books other than “Pleasures of Counting” that are pretty accessible. His two Fourier Analysis books are written at an mid-undergraduate level, and his game theory book is at an advanced high school/early undergraduate level. Also both are full of fun stories. And very relevant since Fourier methods and their extensions have been so important over the past two centuries in so many fields, both pure and applied. I wish I could suggest a good applied computational mathematics book. Sadly I don’t think there’s a great book out there yet. Also it’s a moving target, since the best languages, methods, libraries, and problems change from decade to decade. Back when the world was young, and I was even younger (about 10), I came across a book called Mathematician’s Delight by W W Sawyer. I can honestly say this book changed my life (very much for the better!). I’m glad to see it’s still in print. It’s the kind of thing that should be left lying around innocently to catch the attention of inquisitive young minds, even if it does contain words (such as ‘slide rule’) that have disappeared from common usage! Thanks for the list of books. I had already read and enjoyed more than a few on the list and now I have several new titles to add to my reading queue. One additional suggestion is “The Math Book” by Pickover. It’s more history than mathematics, but can serve as a great (albeit brief) introduction to numerous topics. The illustrations are wonderful. For bonus points read it concurrently with “The Physics Book”. I would agree with Dave about The Math Book: From Pythagoras to the 57th Dimension, 250 Milestones in the History of Mathematics by Clifford A. Pickover. It’s definitely worth a read and is a good one to recommend to people. As is Math on Trial: How Numbers Get Used and Abused in the Courtroom. Which I found to be a fascinating read and the tension really grips you. No other book I know of gets students involved in the deep issues of math earlier than this one. W.K. Clifford’s _The Common Sense of the Exact Sciences_. In my previous existence as a high school math teacher I was always looking for ways to get beyond the purely manipulative approach featured in most textbooks to bring some insight into mathematical thinking. This book is one of the best. Wonderful – for general math problems, Knuth’s first volume (Computing?) has more problems with a breadth of difficulty, from 8th grade arithmetic to Fermat’s last theorem (unsolved when he published). For some philosophy with statistics & probability, Polya’s Mathematics and Plausible Reasoning volumes one and two (he show data proving that the different number of spots on a die “loads” it, I’ve forgotten who rolled 12 dice more than 23,000 times, but it’s covered with the requisite probability calculations – then he forgets to tell you why this was done in the first place. Then Gamma (Euler’s Constant) by Havil and The Story of sqrt(-1) by Nahim. The last two cover the history of both concepts (and Nahim debunks the importance of factoring x^2+1=0 as motivatomg “imaginary” numbers). The author of An Imaginary Tale (one of my favorite “numbers”) is Paul H. Nahin. Which is a wonderful book. He also wrote another one about about Euler’s Formula titled Dr. Euler’s Fabulous Formula: Cures Many Mathematical Ills (plus lots of other entertaining math books, that all require a piece of paper and pencil available for working the stuff out yourself!). Oh, wait… another important number: Zero: The Biography of a Dangerous Idea by Charles Seife. ‘What Is Mathematics?’ by Courant & Robbins – My all-time favorite. I was going to suggest WW Sawyer’s books as well but you beat me to it! I had a friend in high school who hated math and had a lot of trouble understanding the abstract stuff. He read “A Mathematician’s Delight” and magically fell in love with math! Hard to believe, but it’s a true story. Everything by Chris Chatfield is a gem! The book that I like the most among those enlisted above is ‘What Is Mathematics?’ by Courant & Robbins. Thanks for sharing the links. Khan Academy has always served me as a wonderful resource. I recommend it to my kiddos so often. I’d suggest adding “Wolfram MathWorld” — the online compendium on mathematics: http://mathworld.wolfram.com . Not entertaining, but amazingly thorough. And it’s free! Love and Math, by Edward Frenkel (just published, late 2013), intertwines an exciting autobiography (struggling through antisemitism, excluded from Moscow State U in the 1980s USSR, getting an exit visa to be a visiting prof at Harvard at age 21 while still an undergraduate!) with a serious effort to explain his research in the Langlands program for the general reader. Much more math than most popular math book, especially in the endnotes. Kasner and Newman’s ‘Mathematics and the Imagination’ – old but good (and available as a free download at archive.org). Really inspired me as a kid. Cundy and Rollet ‘Mathematical Models’. Ditto. Dars, Lesne and Papillault ‘The Unravellers Mathematical Snapshots’. This one is more about mathematicians than mathematics. It’s look at the mathematicians at the IHÉS: if you can’t go there, this is the next best thing. Kalid Azad at BetterExplained.com does a great job of presenting the subject on an intuitive level. Courant and Robbins was my great introduction to math when I was in junior high. The Laktos book I read many years later. Although I was a math major, it discusses many topics in proving things that had worried me in my courses. I would add Gödel’s Proof by Nagel, Newman and Hofstadter. An update of a monograph from the ’60s, it presents a very understandable explanation of the First Incompleteness theorem. Another book, Incompleteness by Goldstein, covers much of the same ground but weaves in the philosophical implications of the theorem and some biographical background on Godel. Stanislaw Ulam’s “Adventures of a Mathematician” is one of the most fascinating books I ever read. Also Littlewood’s “A Mathematician’s Miscellany” is, in my opinion, rather more interesting than his friend Hardy’s “Apology”. How about Danica McKellar’s books? No one has suggested The Art of Mathematics by Jerry King. How odd. Another author of excellent general introductory books, Sherman K. Stein (emeritus professor at U.C. Davis) “Mathematics, the Man Made Universe” and “Strength in Numbers”. I strongly second the remarks about W.W. Sawyer. He went out from Cambridge to start a Department of Mathematics in the Gold Coast (now Ghana), and I believe wrote some of the books to foster an interest in mathematics there. You have a great list of math books many of which I have never read, and I plan to check them out. There is one book that stands out in my mind that is not on your list. The book “Five Equations that Changed the World” is an excellent read and I highly recommend it. I recommend “The Geometry of Multivariate Statistics” for those of you interested in gaining a deep conceptual understanding of applied statistics and linear algebra. Understanding the geometric interpretation of vector and matrix operations seems much more intuitive than thinking of the topic as an algorithm that blindly leads to a result. I will gladly plug mathmunch.org (which I co-author) and aperiodical.com and quantamagazine.org (which I do not). “The Joy of X” is really not a ‘cool math book’. Maybe it is just where I am now but I got no brain buzz from any of it. Moderately interesting but not cool. My suggestion: “How not to be wrong” by Jordan Ellenberg. Even though it’s aimed at a non-mathematical audience, explaining how various fields of math (with a focus on probability theory though) apply to everyday life, I as a mathematician also had great fun reading it. “Why is there a philosophy of mathematics at all?”, by Ian Hacking. This is very much a philosophy book, not a mathematics one, but it’s written to present the author’s personal viewpoint in the context of previous viewpoints rather than as a survey or textbook or even as an argument, so I found it much more readable than anything else on the subject. I’d like to warn people away from “Godel, Escher, Bach”, because I think it’s wrong in a subtle way which is very hard for people who don’t have philosophy experience to realize the flaws, and Hofstader doesn’t give any pointers at all to arguments against his views. I would recommend any book by either Ian Stewart or John Allen Paulos. Cathy, which books would you recommend for engineers who haven’t worked with math since college? I recommend “Road To Reality” by Roger Penrose; it’s somewhat advanced but is a great treatise on modern physics and the mathematics behind our current understanding of the laws of the universe. I’ve read some of these. Good list. Like to add another book which suggests how to fix an anomaly in the pipeline for getting more into STEM careers in general: “Long STEM Roads for Life”, subtitle Math Education and STEM Careers- see Amazon.com. Thanks for your terrific, informative appearance on the Brian Lehrer show today on WNYC, and congratulations on the publication of your book! I’m looking forward to sharing your blog with my 17 y/o daughter! Totally with you on the Cantor. But you left out Nagel’s “Godel’s Proof” which if I can understand it, is a clear exposition of the theorem. GEB was great, but doesn’t really give you the mathematical joy of the Gödel discovery. The Man who Loved Only Numbers by Hoffman about Erdos is a fascinating biography with some thought-provoking math problems that non-mathematicians can understand. On the kids’ list, I strongly recommend The Number Devil. Another good kids book is Sidesways Math From Wayside School. Your book is very important socially and relevant to what is happening all through the world of big data. People must understand how the Theory of Solving Ill-Posed Problems and VC theory applies to model making and also how important problem definition is to validation. We are building a world of self-fulfilling prophecy and true danger of information isolation and polarization. Prediction acts as a short circuit to debate; when the process for prediction development is misused, the prediction loses validity, yet few can detect that loss, especially in deep learning networks. Models are given authority they do not deserve! Not a technical book but I loved reading Fantasia Mathematica as a kid. Since your 10th book is Harold R. Jacobs’s gem Mathematics: A Human Endeavor, you should also list his other two books, namely Elementary Algebra and Geometry. Why? Because for anyone who wants to learn such, these two books, written in a style similar to MAHE, may just be the best textbooks on such ever WRITTEN. I recommend George Polya’s How To Solve It. No Alex Bellos’ book recommendations? Wow. Tough Audience. I recommend his “Here’s looking at Euclid.” Lots of great history of math research on interesting and diverse contributions from around the world to the study of math. The chapter on India was such a revelation. And your book, Cathy, should be here too. Great book – so useful in advancing discourse intelligently and helping others see how math metrics can be used in damaging ways. Freakonimics is also great. Flatland too. Along with spin-offs Sphereland and Flatterland, though I see Ian Stewart made the list already in the comments. If advocating for your own book is verboten, please ignore or delete. My latest book, Painting By Numbers: How to Sharpen Your BS Detector and Smoke Out the Experts, is now available from Amazon (author Jason Makansi). 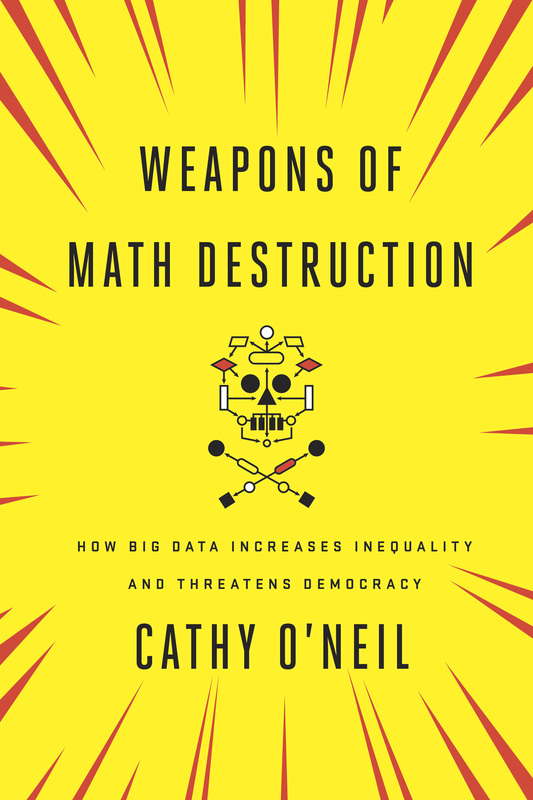 I list Weapons of Math Destruction as one of a dozen for deeper insight. My hope is that Painting by Numbers will be regarded similarly to How to Lie with Statistics, still in my mind one of the simplest, clearest explanations of a complex field of math. “The Emperor’s New Mind” by Penrose. Lots of math and speaks to the heart of your criticism with ML and AI, Dr. O’Neil. I read that Penrose book when it first came out. Can’t fault his maths, tho not exactly pellucid. His philosophy is very amateurish however. You can’t “solve ” philosophical problems with scientific speculations. I disagree. You have to know something about the world before you can do any meaningful philosophy. The Greeks were right. Earth-measuring comes first. Science helps contextualize experience into empirical chunks of data which can then be analyzed. You’ll find that Penrose’s book is deeply rooted in science and math in order to contextualize the nature of the inquiry. One can’t simply run off and start philosophizing if it’s not rooted in something observable and measureable. Penrose’s book is daunting and covers a lot of ground. It’s hard to connect the math and science to consciousness and its origins at first, or even second pass. Penrose is merely cautioning that simulating consciousness is not the same thing as consciousness itself. One can write very complex algorithms for passing Turing Tests, but it’s not a measure for assessing if there’s any deep contemplation or judgment going on. A computer can beat people at Go or Chess, but it doesn’t understand why the game is played at all or what it’s really doing. It’s just following a complex set of orders. It’s just taking data as input and spitting out a response based on the rules it was given. At the end of it all, AI is all about speed and efficiency. It’s a tool, not a God. We are the folks who read math books for fun. We are not weird, we are interesting. I make no apologies. Who else would understand that knitting, crocheting, macrame and sewing are examples of applied topology? Forty years ago I used my Home Ec sewing ed. as examples of engineering design in a freshman intro engineering design course. Seriously, it applies! Also, I just finished a mobius scarf with two twists. The fabric had a shiny side and a matte side, so there was no transition between matte to shiny. It is definitely not “infinite”, but still kind of twisty. I did this because it was ombre dyed silk, and to make the transition between the colors (blue white green) more consistent I cut it into two pieces and made sure to sew blue to blue and green to green. It made a longer more narrow scarf… but still interesting. But definitely two distinct sides. When I mentioned this to another sewing friend she tried to correct me by saying it was an “infinite” scarf. Le sigh. She is a lawyer. Plus when she had to move back home to take care of her mother she gave me a $100 gift certificate to a fabric store from her previous employer, which I spent on silk for mobius scarves. I was not going to argue with her. Michael Harris’ Mathematics Without Apologies. Erudite, fun, plenty of number theory, gossip, philosophy, heavily and intelligently footnoted. I would suggest Logicomix, too. For a book on higher math learning, I’d suggest The Definitive Guide to Learning Higher Mathematics, it’s from a smaller publisher, but their perspectives on learning and higher math are nontheless very refreshing.